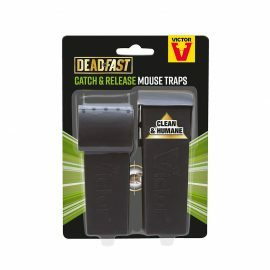 Deadfast Ready to Use pre-baited mouse stations contains fast acting paste bait containing a premium cereal blend with active capsulation technology to encourage mice to consume. 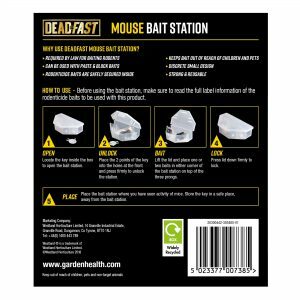 Deadfast Ready to Use pre-baited mouse stations contains an innovative non-anticoagulant active ingredient belonging to the narcotic family. 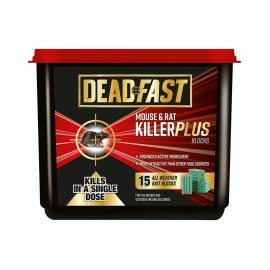 Alphachloralose is the fastest killing poison in the UK, and the first non-anticoagulant in the mice control industry. 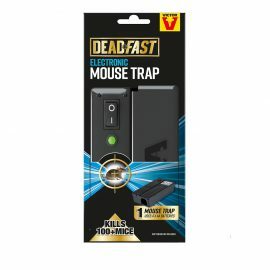 Designed to kill instantly and with only low consumption required, this rodenticide is ideal to stop mice infestations before becoming a problem. 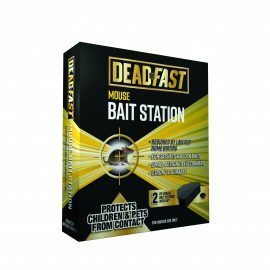 Fast acting paste bait containing a premium cereal blend with active capsulation technology to encourage mice to consume. Deadfast Ready To Use Mouse Killer contains Alphachloralose. Use Biocides safely. Always read the label and product information before use. 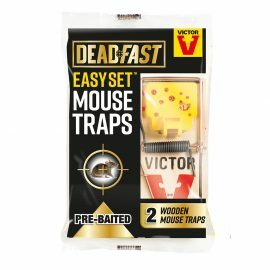 Q Why is the bait in sachets? Do I need to remove the sachets? 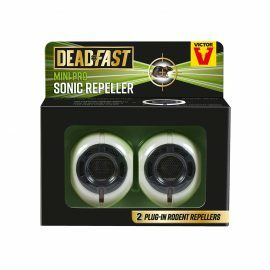 A There has been a recent change in the law on how rodenticides can be sold. They must not be sold loose. The sachets have tiny (impossible to see) perforations that allow rodents to smell and be attracted to the food. 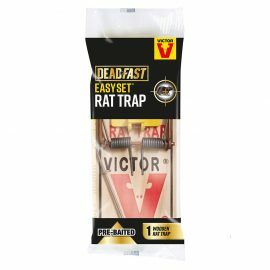 The bait is very palatable to rodents and they will happily chew through the sachets to get at the contents. 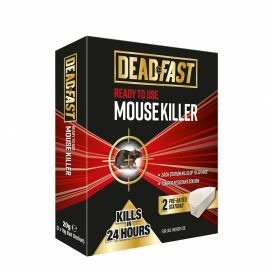 Q How long does it take to kill the Mice? Is one feed enough? AMice will be killed with just one feed. The active ingredient Alphachloralose kills them whilst they sleep. 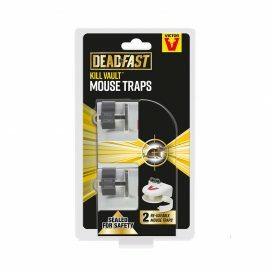 Q How would I dispose of any dead mice? WARNING: May cause damage to Organs through prolonged or repeated Exposure. Harmful to Aquatic Life with Long Lasting Effects. Dispose of contents and container according to local regulations. Contact your local council for details.